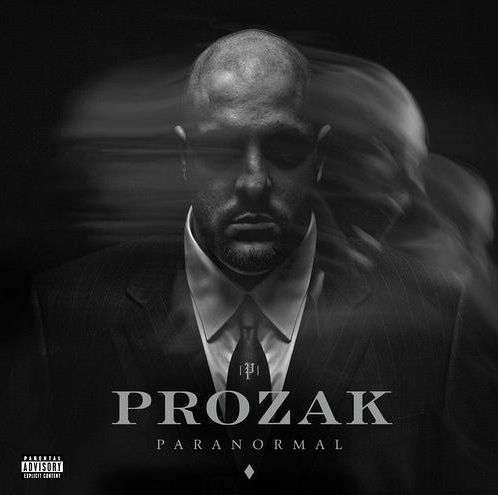 Sample Prozak’s ‘Paranormal’ Before Its Release! 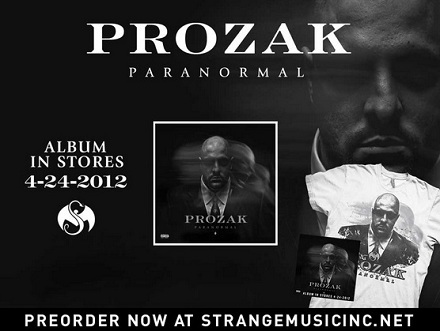 Fans anticipating Prozak’s Paranormal can now get a taste of what Strange Music’s macabre emcee has to offer on his brand new album. Amazon.com has provided samples of the entire album for fans to preview before it drops on April 24. That’s right, you can now listen to a clip of every single track on Prozak’s album and hear just why it’s his best release yet! From the haunting sounds of “Tell A Tale Of Two Hearts” to the aggressively thumping production on “Wake Up You’re Dead”, Paranormal is a unique journey for the mind and soul. That’s not all, listeners also get a very special preview of Tech N9ne’s guest appearance on “One Of These Days” and Twiztid’s long awaited guest spot on “Line In The Middle”. Be first to hear these exclusive samples and make sure you pre-order Paranormal! What did you think of the samples? Which track stood out the most to you?